Laura is a licensed Marriage and Family Therapist (MFC23357) and clinical supervisor who has been on staff at CPCC since 1988. She attained her BA in Sociology from UCLA and went on to earn a Master in Theology and Marriage and Family Ministries from Fuller Theological Seminary. Laura's work is anchored in the understanding that our difficulties in life stem from our broken relationships with self, others, God and creation. Healing in those relationships restores us to live lives of joy and connection. Laura is extremely committed to building healthy families and has led numerous parenting workshops and marriage seminars. 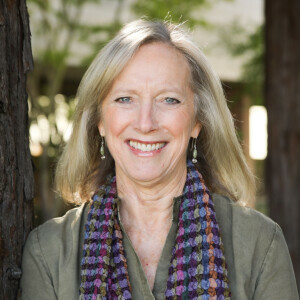 In addition to being a conference speaker, Laura is an adjunct professor at Fuller Theological Seminary in Menlo Park. Laura has been married for 38 years. She and her husband have two adult children, one lovely daughter-in-law, and a beloved grandson.